One of the interesting birds I saw last December during my stay with my daughter in Addis Ababa was the Wattled Ibis. It was the only species of ibis I saw during my short visit despite the fact that 7 different species can be found in Eastern Africa. The birds in these photos were taken along the river which flows along one boundary of the school campus where we were staying. Only in the last photo on this page can you easily see the wattle hanging from the throat of the birds. 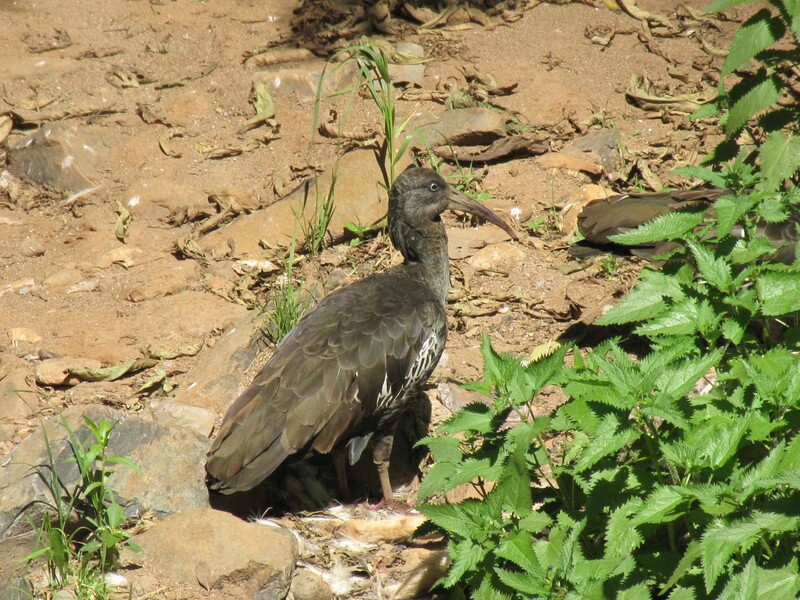 The Wattled Ibis is a bird of the highlands in Ethiopia – usually above 1500 metres – and is quite common. It has also been recorded in nearby Eritrea. While I only saw two birds at a time it is commonly seen in medium sized flocks of 20 – 100. When feeding it will walk along slowly, prodding the ground for insects, worms, beetles and will take frogs, mice and even small snakes. It’s interesting to see such familiar birds like ibises but in a very non-familiar form.